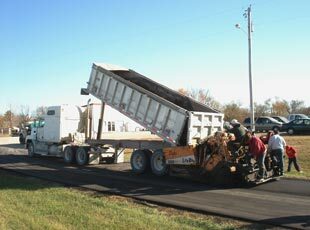 Approved Paving is a full service asphalt paving company servicing many cities in Kansas, Missouri and Nebraska. Our city of origin is Atchison, KS where we also have a sister company called ACAP which is a hot mix production plant. 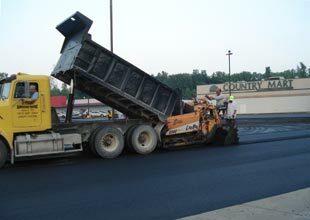 We produce up to 150 tons of asphalt per hour. We have crews and sales representatives working in the Kansas City area, Leavenworh, Lawrence, St. Joseph, Atchison and beyond. We pride ourselves on customer service and quality craftsmanship. Our crews have a combined experience of over 60 years. Our extensive reference list shows this. We encourage potential customers to check us out and find out why we call ourselves Approved Paving!